Scott Plank by the pool at Swim Club in Canton. 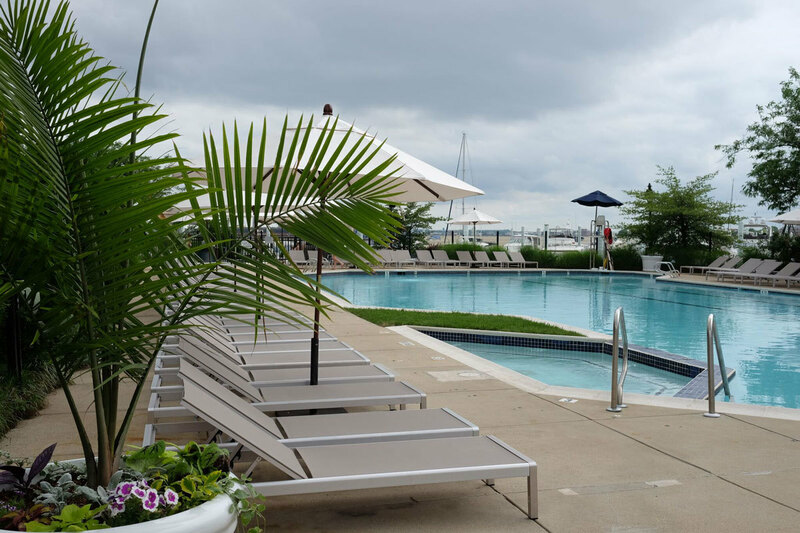 Once known simply as the Baltimore Marine Center Pool, the newly renovated urban resort “with a Hamptons vibe” is members only during the day but will transform after 7 p.m. to a nightlife destination for the public to enjoy cocktails, locally sourced bites, and idyllic views of the Inner Harbor. Plank and his VP of hospitality operations Jay Coldren, who will be managing the club, have brought out all the bells and whistles to attract residents in the city and surrounding counties to an area that most in the city never knew about. It was a priority for WHC—developer of Anthem House, Sagamore Pendry, and Belvedere Square—to open the club to the public in the evenings in an effort to make it more inclusive and bring a new crowd to the area. As the sun sets on the water, the space transforms into an upscale happy hour location complete with signature cocktails like the watermelon peach frosé and a coconut-infused rum. 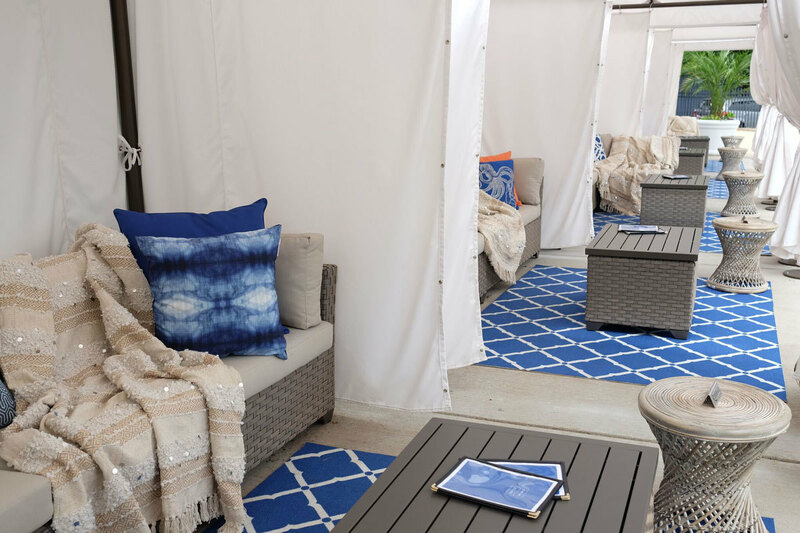 Memberships will still be available for purchase for individuals, couples, and families, although many of the members from the former pool carried over to WHC’s new venture, including those who dock at the marina. On top of a $600,000 renovation that includes sprucing up the pool area and adding a restaurant and dog park—marked by a giant dog sculpture—there will also be new members-only programming like poolside movie nights, cocktail hours, waterfront morning health and fitness, and boat slip use. 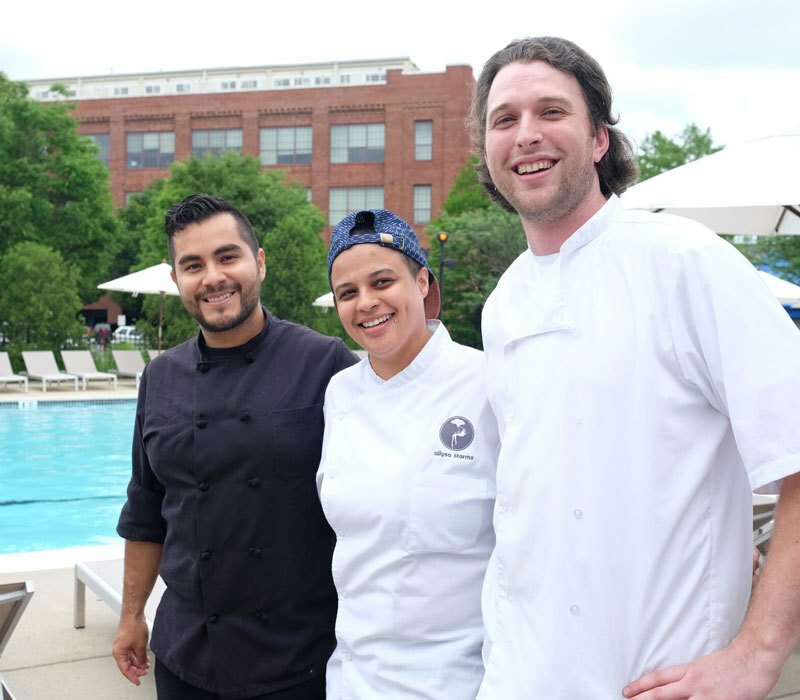 Among other new details, the Swim Club’s pop-up restaurant is set to open on July 4 headed by New York chef Allysa Storms, who has created an eclectic menu. There is also a resident pastry chef on staff, Ben McDonald of Mt. Washington’s Bonjour Bakery. 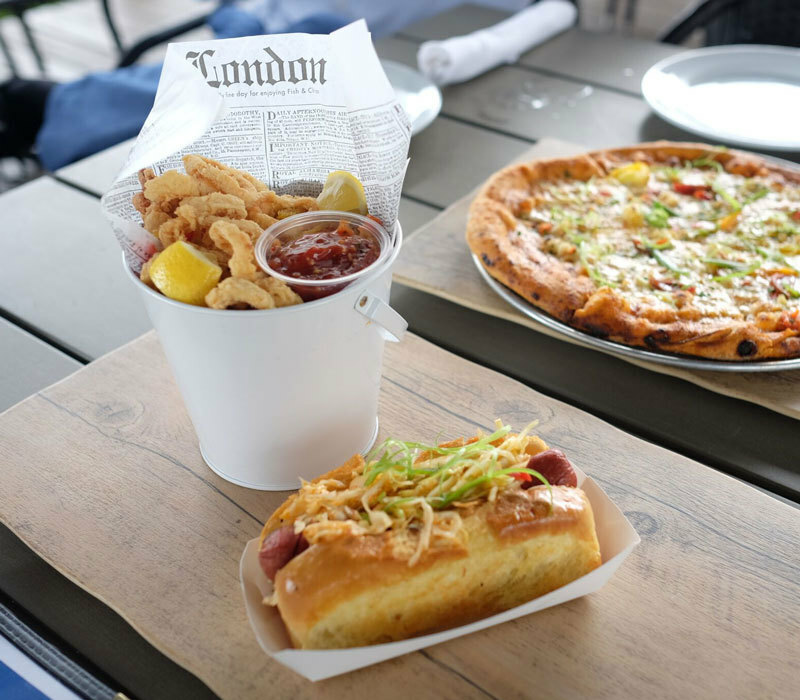 Some menu items include fresh margarita guacamole with tequila, white cannellini bean hummus, gluten-free calamari with a Snake Oil remoulade, and a house-made kimchi dog. There’s even a crab pizza with an Old Bay-infused crust that may make an appearance on the menu. A look at the food menu and culinary staff. This season will be a bit of a test-drive for the new venue as Coldren tries to get a feel for what the community wants. But he says that we can expect more things to come from WHC and Swim Club this summer including Summer Sounds (ala Belvedere Square) in the parking lot on Sundays beginning June 10.